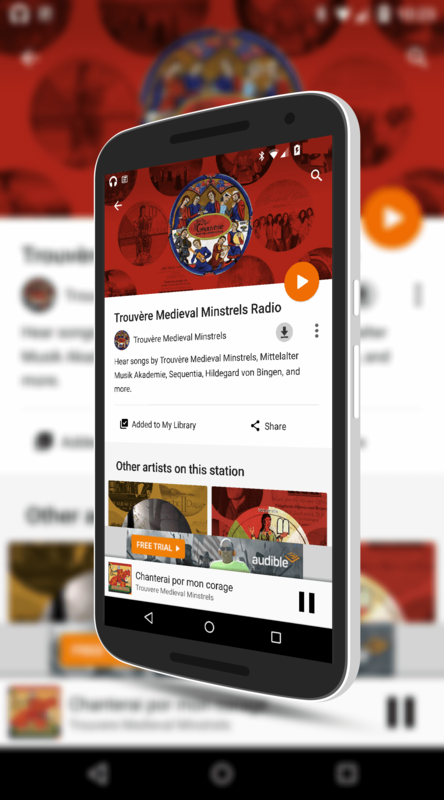 The Google Play Music app has been updated today for Android devices and while it is mostly a bug fix release, there are a few new features that are worth a mention. This new build is verion 6.1.2115T for those keeping score at home and it is rolling out to the Google Play Store now. If you have the app installed then you should expect to see the OTA update for it anytime over the next couple of days. As far as new features in this update, the first thing you will notice is a completely revamped Settings menu. Things are generally much more organized into sections with this update and it is a bit easier to see all of your settings without having to tap to change a particular setting in most cases. Functionally there isn’t much different other than the new Auto-offline feature which I will discuss after the break but I find the new Settings to be a bit easier to figure out what to adjust in Google Play Music. The new Auto-offline feature that is in the settings of Google Play Music is a bit of a mystery. By definition in the settings, this allows the app to download music to your device. But what music? How much music? There isn’t really anything to indicate any of this information which makes me believe that this is more or less a placeholder feature for now with more of an explanation coming in another future update. I’ve been playing around with it today and I haven’t been able to figure out exactly how useful this feature is today but I can see the potential. For example, if it downloaded a mix of music similar to what I’ve been listening to the last few days, that would be handy. If you can suss out what this feature does more clearly, by all means let me know. One of the big things that was expected to be coming with the next update to Google Play Music was Family Sharing of content. We know it is coming as Google has announced it already but when is the mystery. Android Police did a tear down of the APK for this update and they have found the Family Share strings in the code but they do not appear to be active just yet. The good news is they are there so when Google throws the switch, it could well be that the app doesn’t need to be updated to start it. The update and the app for Google Play Music is free while you can subscribe to the Unlimited plan for $9.99 per month. That allows you to download and listen to music offline from the service (even if you don’t own the album) plus it gives you access to YouTube Red and YouTube Music included.